Incredible. That’s the only word that describes the 2014-15 Ducks’ basketball season. I’ve never seen a team projected to be one of the worst in its conference play at such a high level during league play, and then at an even higher level during the NCAA Tournament. The growth of this team has been remarkable, and the Ducks deserve to be recognized as a legitimate threat going forward, no matter how much talent the experts believe they have. 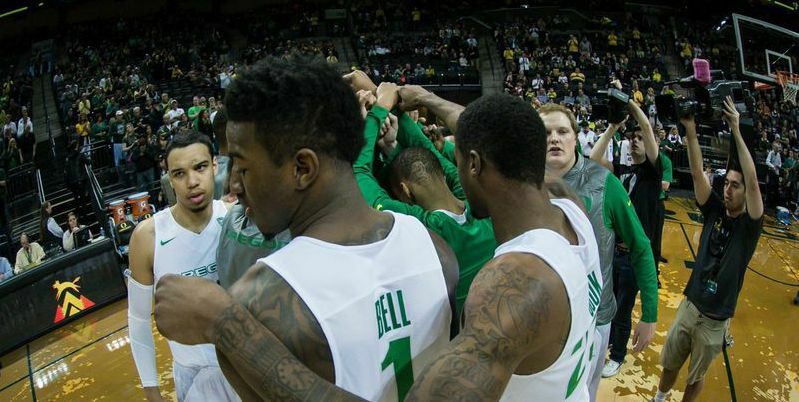 As long as Dana Altman is coaching this team, they have a chance to win at a high level. Jordan “Smooth” Bell has a bright future in Eugene. Having “enough talent to win” means that a team has all of the necessary pieces to come out victorious, regardless of the situation. Although this year’s Ducks had a lot of great pieces and were more athletic than most teams, they were missing a very crucial piece of the puzzle: they did not have enough closers. 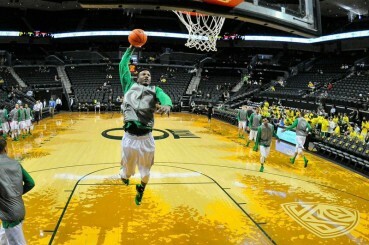 Oregon could not put all of its eggs in Joseph Young’s basket and expect to take down a #1 seed. 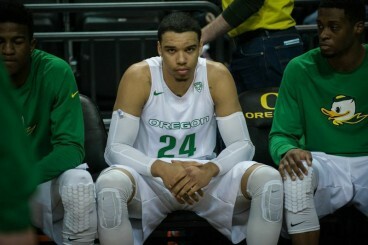 Young was clearly going to do everything in his power to ensure that Oregon was in a position to win every time out. But when the games come down to the wire, and the opposing teams knows Young is the only legitimate threat, they can simply clamp down. Whether that means locking Young up with a double-team, or just denying him the ball in the first place, this strategy forces other players to take, and make, big shots. The Ducks just didn’t have another go-to guy on the offensive end. That being said, I am a believer in the future of this team. Their play speaks for itself, and it is clear that every player on that team legitimately loves the game. However, when half the players are new to Division 1 basketball, playing in the NCAA Tournament against a highly ranked Wisconsin team is a monumental challenge. It was just too early for the Ducks to really make an impact against a top-notch team. Dillon Brooks has the eye of the tiger and will be a big-time scorer for the Ducks. The future, however, is as bright as the Eugene summer sun for this young squad. 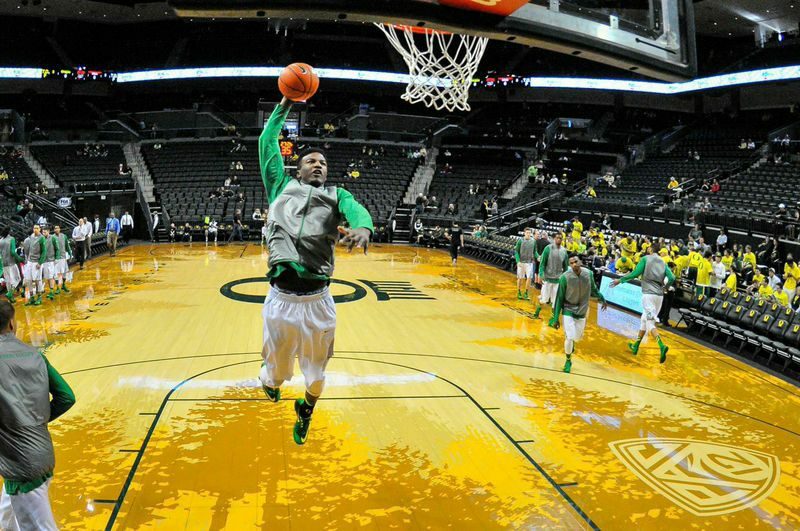 Although Joseph Young will attempt to make it in the NBA next season, Oregon’s cupboard is well-stocked for 2015-16. The Ducks’ next big-time scorer will likely be Dillon Brooks, a wing player with an incredible amount of talent. He inhales rebounds, attacks the basket, and can handle the ball like a 2-guard. Brooks needs to work on his court vision, as well as his situational play, but overall he’s going to be a very big part of this upcoming team. Another upcoming stud is defensive monster Jordan Bell. His off-ball defensive awareness is out of this world, and his natural rebounding ability is outstanding. People don’t appreciate all of the little things he does to change the momentum of the game. Bell has that Dennis Rodman feel to his game when you watch him, and I hope to see him expand his offensive game as his time in Eugene continues. Like Brooks, Bell was only a freshman this season. With Young leaving, Coach Altman is going to have to find a new sharp-shooter next year. That will be difficult, but not impossible. Great shooting guards are much easier to find than great big men. I expect Altman to exercise his magic to find someone with that sweet outside touch. Don’t count out incoming five-star freshman Tyler Dorsey of Los Angeles, one of the most prolific high-school scorers in America. The Ducks are definitely worth investing some time if you truly love the game, so make sure to give them a chance next season when they make another run at a Pac-12 title and an NCAA Tournament berth.